Black salon trolley with 5 drawers. 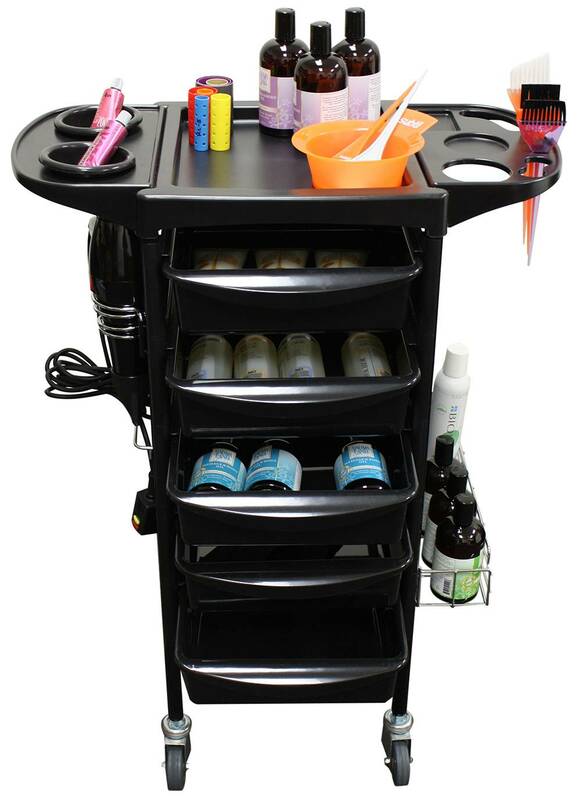 Salon cart includes mini-bowls for mixing products, a dryer holder, & a side shelf to put products on which is perfect holding any salon supplies. 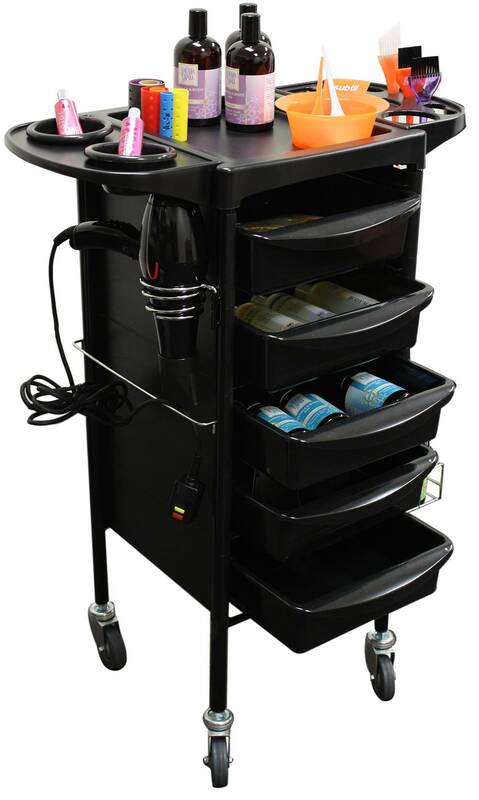 Black salon trolley with 5 drawers. 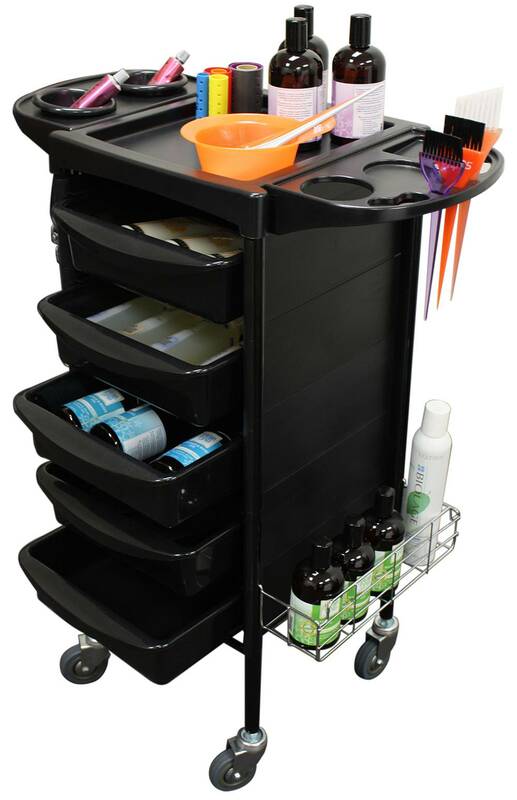 Salon cart includes mini-bowls for mixing products, a dryer holder, & a side shelf to put products on which is perfect holding any salon supplies. Open on both sides makes it easy to access supplies or sharing with another stylist. W x D x H = 26-5/8" x 14-3/8" x 36-1/2"